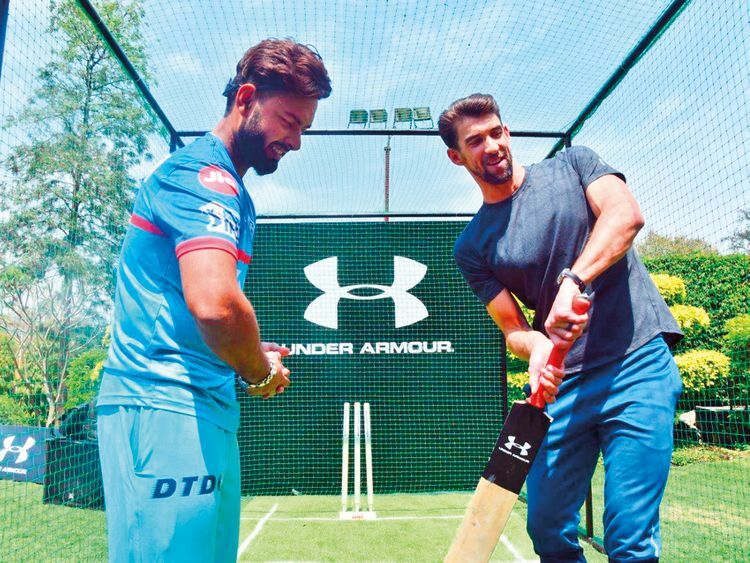 New Delhi: Michael Phelps, the most decorated Olympian of all time, enjoyed an interactive session with the IPL’s Delhi Capitals on Wednesday. The 33-year-old had a short net session with the team and spoke to several members of the squad, including captain Shreyas Iyer, Rishabh Pant, Chris Morris and Ishant Sharma. Phelps had the opportunity to soak in the atmosphere during Delhi’s encounter with Chennai Super Kings on Tuesday. “I don’t think cricket is my next sport, but I loved seeing the match with the Delhi Capitals yesterday. It was nice to see how excited the crowd was, and to see how the players shift when there is a change of ends, or a dismissal. I loved watching the sixes yesterday, and definitely today has been about getting a couple of tips from the boys, starting with how to hold a bat. So I’m sure I will be better prepared to play cricket when I visit India next.” said Phelps, when asked about his experience in India over the last couple of days. Capitals’ pace spearhead Ishant Sharma was delighted to have the opportunity of meeting the 23-time Olympic gold medallist. “It was a great opportunity for all of us to have met him. You know he’s a world champion and we shared a few moments with him as well. He has been a huge motivation to athletes around the world over the years, and it was the same for all of us at the Delhi Capitals today,” said Sharma. Following the loss to Chennai at home, the Capitals hope that this experience will reinvigorate them ahead of their meeting with the Kolkata Knight Riders on Saturday.